What an awesome experience! I would highly recommend the Enigmista Game, it was challenging and really made you work together to solve the puzzles. Michael was brilliant and shows a real passion for his job. I also love the donation to the charity of your choice, it’s a really nice touch! There have been reports that there is a serial killer on the loose. Many people in the area have gone missing and no traces of their whereabouts have been discovered. Only one survivor has lived to tell the tale of what happened the killer's lair. Rumor has it that he forces his prisoners to perform ghastly tests to see how far they can push themselves in order to escape. You have suddenly awoken to discover that you have been locked inside a room of complete darkness with no recollection of how you found yourselves in this situation. Your captor has devised a series of games to test how much strength you have in order to your own lives. 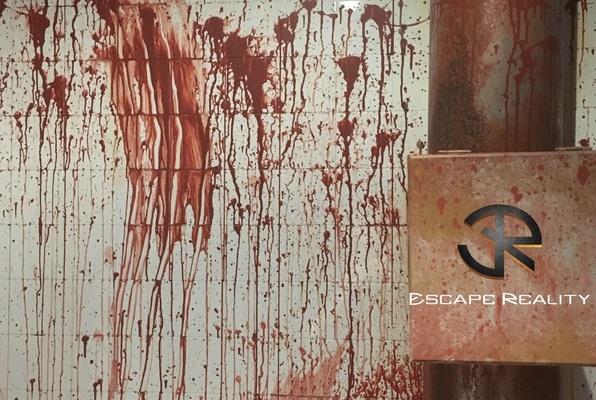 Reviews of escape game "Enigmista"
My group and I had a blast playing the Enigmista game! I also really enjoyed the environment and the staff were friendly. We will definitely be back!